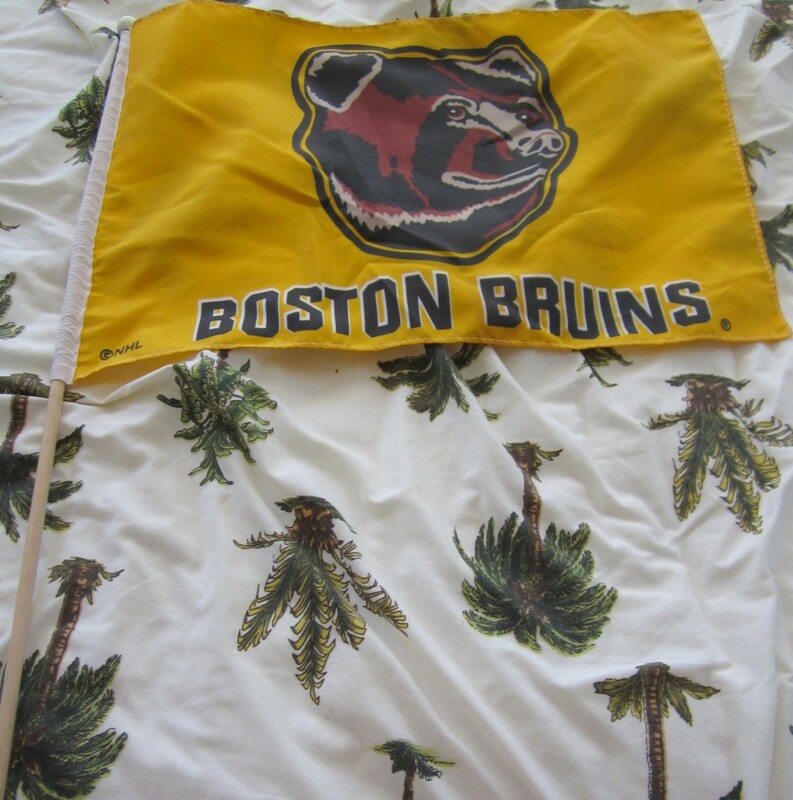 Boston Bruins mini 12 by 17 inch souvenir fabric flag on a wooden stick. NOTE: stick was broken and repaired with super glue. 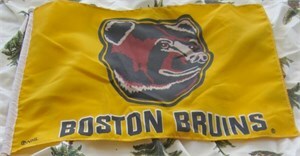 Flag has minor marks noticeable upon close inspection. ONLY ONE AVAILABLE FOR SALE.